As the political backlash grows over President Trump’s travel ban, the US Department of Justice is set to face off with its opponents in a federal appeals court. Its lawyers will argue that suspending the executive order puts national security at risk. “The Executive Order is a lawful exercise of the President’s authority over the entry of aliens into the United States and the admission of refugees,” reads the official 15-page argument filed by the DoJ on Monday. A hearing in the US Court of Appeals for the Ninth Circuit in San Francisco set for late Tuesday is to determine the legitimacy of the travel ban, after a federal judge angered the White House by blocking the controversial move nationwide last week. The Trump administration unsuccessfully tried to overturn the block over the weekend. 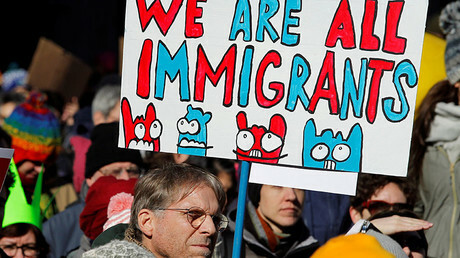 The administration’s official defense comes as almost 100 US firms have thrown their support behind a lawsuit that criticizes the executive order for its “significant departure from the principles of fairness and predictability” inherent in the US immigration system. The lawsuit was filed with a San Francisco-based appeals court by several US States. The case could still go to the Supreme Court, regardless of the appeals court’s decision. Currently in his third week in office, the new US president has already made waves by making a series of highly controversial decisions that have split the nation in two. The move in question imposes a 90-day travel ban on seven Muslim-majority countries, including Syria, Iraq and Libya, as well as a 120-day refugee settlement ban, and a blanket ban on all Syrian refugees. 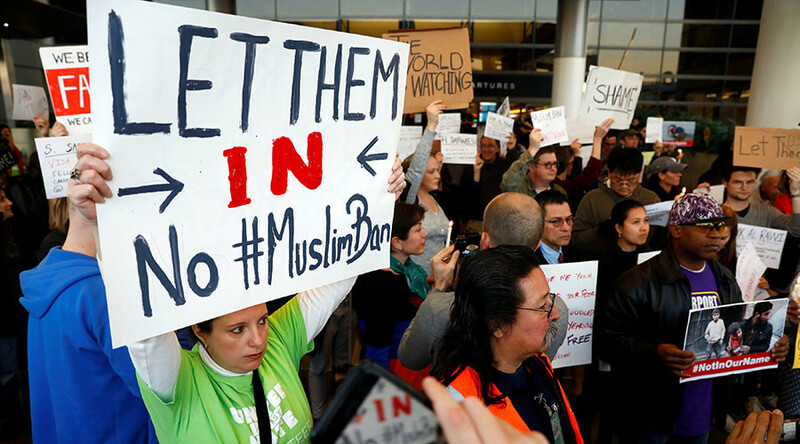 After the order was issued on January 25, great confusion ensued at the border and massive protests were staged at airports across the nation. However, polls suggest that Americans are split almost down the middle on the matter. While former Secretaries of State John Kerry, Madeleine Albright and 10 other national security and foreign policy officials joined the chorus of discontent, pollsters emerged with data showing that nearly half of Americans (45 percent) are in favor of the travel ban, while 51 percent are against. However, Trump has made the history books by securing the lowest approval rating of any US President in office for such a short time, according to a Gallup poll, which put him at 42 percent after his first two weeks in office.